PRIVATE LIMITED COMPANY A Private Limited (Pvt. Ltd.) company is a company formed with 2 or more members. The maximum members prescribed is 200. Pvt. Ltd. companies are not listed on the stock exchanges, i.e. their shares cannot be freely traded. Since, it is relatively easier to register a Pvt. Ltd. company it is the preferable form of company for most businesses. 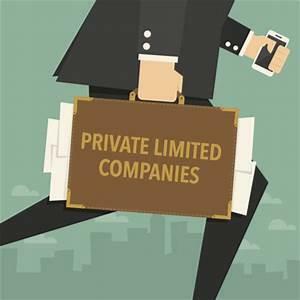 The scope of a Private Ltd. company is limited, due to the restricted number of shareholders, but it enjoys less legal restrictions. Before getting your private limited company registration ,the following key points must be kept in mind : •	There should be a minimum of 2 directors and the maximum can be 15. •	The word "Pvt. Ltd." must be suffixed in its name •	There is no capital requirement, a pvt. company can be registered with any amount of capital. REGISTRATION OF PRIVATE LIMITED COMPANY You can register your pvt. ltd. company through our online portal-Private company. Fill the form and you will be contacted within 24 hrs. Your company will be registered within 20 days. Every step is online making it easier for you to register your pvt. company hassle free. •	We ( CASERVICES ) are a team of CA/CS/Advocates/Legal Experts who have years of experience in Company registration. •	The costs are transparent.There are no hidden charges.and if there is any, then our executive will explain you why. •	You can through our learning portal which to upgrade your knowledge regarding Private Limited Company. •	The procedure to register your company is quite easy and simple with the help of self filling forms. What is GST Registration? GST refers to Goods and Services Tax which subsumes all taxes such as Sales tax, Service tax, Excise duty etc. into GST. GST registration is required primarily if your annual sales are more than Rs. 20 Lakh. Even if your sales are less than Rs. 20 Lakh, we suggest that you voluntarily opt for GST registration because: 1. You will not get any tax refunds on purchases (e.g. if you buy goods worth Rs 1 lakh in a year, and tax rate is 28% – you will lose tax refund of Rs. 28,000) GST registration typically takes between 2-6 working days. You need to file your application with the department and sign it with your digital signature. You need to submit certain documents with us at CASERVICES and it will be done Who all need GST Registration? The registration in GST is PAN based and State specific. Supplier has to register in each such State or Union territory from where he effects supply if he fulfills any of the following conditions: 1. Having an annual aggregate turnover from all-India operations which is above the threshold limit of Rs. 20 Lakhs(Rs. 10 Lakhs for North-Eastern States) 2. Currently registered under any of the earlier indirect tax regimes (VAT, Excise Laws, Service Tax Laws) irrespective of the threshold limit 3. Having branches in multiple states or multiple business verticals in one state 4. Making any supply to other states 5. Required to pay tax under Reverse Charge (In case your supplier is not registered under GST) 6. Required to deduct tax at source or an Input Service Distributor 7. Agents of a supplier 8. Supplying goods or services through E-commerce Operator 9. E-commerce Operator / Aggregator who supplies goods or services under his brand name (e.g. Flipkart, Amazon, Ola) 10. Supplying online information and database access or retrieval services from a place outside India to a person in India, other than a registered taxable person Benefits of Registration under GST GST Registration will give the following advantages to a taxpayer 1. He is authorized to collect taxes from his customers and pass on the credit of the taxes paid to them. 2. He can claim Input Tax Credit of taxes paid to his suppliers and can utilize the same for payment of taxes due. 3. Seamless flow of Input Tax Credit from suppliers to recipients at the national level.